Most of the artists/printers might not be satisfied with the available media they could use. Such as the output by Solvent ink & Eco Solvent ink & Latex ink & UV inkjet printing, there is no other material but PVC. Our company has developed a serious of Fabrics/Textile, which have brilliant performance for Solvent Ink & Eco Solvent ink & Latex ink & UV inkjet Printing Plotters. These new products give you another options, your creative ideas wont be limited by only PVC media anymore. Also with our Solvent inkjet fabrics, AP-5159-S , AP-5759 , AP-5609 , AP-5909, AP-202 except to apply to print on Solvent Inkjet Plotters, they are also more suitable for printing on Eco Solvent Inkjet Plotter and Latex inkjet Plotter and UV inkjet Plottter. Because of the excellent feather, they provide with the environmental character. New Development, Great Advantage! Solvent Inkjet PRINTABLE Fabrics/Textile. 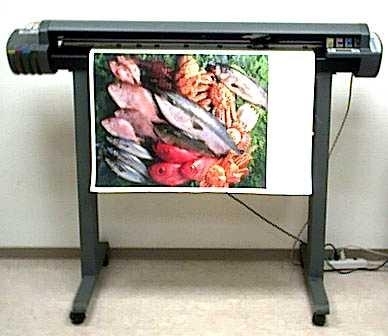 Most of the Artists/Printers might not be satisfied with the available media they could use. Such as the output by Solvent Inkjet printing, there is no other material but PVC.